In early 2010 we broke ground for our very own, brand new youth center, The Buoy. 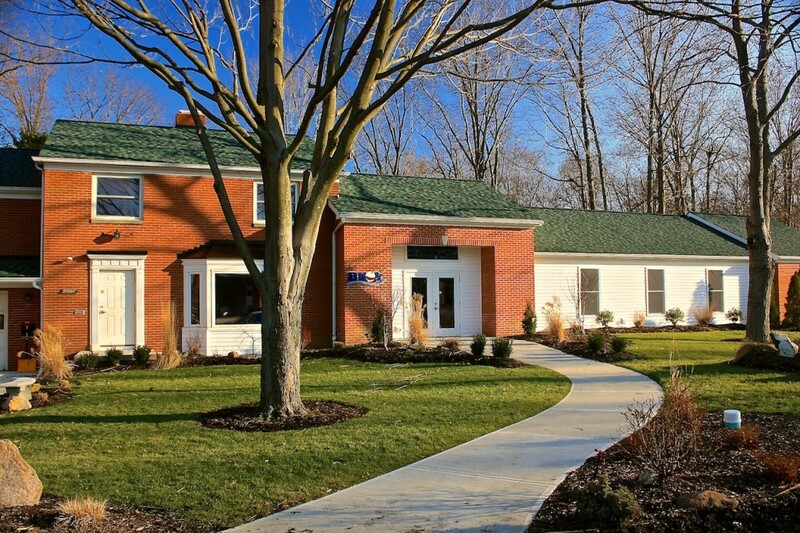 This facility is a combination of the remodeling of our old Parsonage and more recently, a Retreat House with a 75 ft. addition being added to the south side of the existing structure. On Sunday, March 31st, 2013 we held the official Grand Opening of the Buoy. Completed and ready to operate – this facility houses all of our youth ministry programs and activities…except dodge ball – definitely not designed for dodge ball. The rules below ensure events at the Buoy are enjoyable for everyone. Failure to follow them may result in expulsion from the Buoy at the discretion of the Youth Director. 1. Everyone is welcome here. No matter what age you are, your nationality, your hair color, your sexual orientation, your belief in God or your belief in no God. We do not discriminate based on handicaps, the language you speak, the school you attend, the house you live in, the football team you cheer for or the type of clothes you wear. Jesus never turned anyone away and neither will we. 2. The possession of weapons, alcohol or illegal drugs is strictly prohibited and in the same way being under the influence of such can result in your suspension from the Buoy and/or arrest. 3. The Buoy is a smoke free facility, including the restrooms, outside areas and anywhere on Avon Lake United Church of Christ’s property. 4. Public displays of affection are not acceptable. Please keep your hands to yourself. 5. Rowdy behavior or physical damage to the Buoy or any of its furnishings will not be tolerated. 6. Dirty Dancing, Moshing, Grinding, Body Surfing, Slam Dancing, the Macarena, and the Chicken Dance are not permissible. We do however encourage Father Abraham, Rise and Shine & Head-Shoulders-Knees & Toes. 7. Inappropriate use of the Internet or Wi-Fi access is unacceptable and will not be tolerated..
8. This is not a casino. Gambling, betting or wagering is prohibited. 9. Each person is encouraged to respect themselves and those around them in their dress and appearance. 10. Clothing depicting offensive or disrespectful slogans, symbols, pictures or words is prohibited. 11. Clothing should also be modest and not overly exposing. Shirts, pants and shoes must be worn at all times. 12. Pictures rock. Videos are awesome. Respect everyone’s right to privacy when you are filming your next blockbuster. Don’t tag, post or upload without permission. 13. The use of foul or garbage language has no place here and will not be permitted. 14. We (Avon Lake U.C.C., its employees, volunteers, agents, staff) are not responsible for any lost or stolen belongings, any injury occurring at anytime while you are at the Buoy or on Avon Lake U.C.C. property. 15. Everyone is highly encouraged to have a great time, engage in conversation, laugh, praise God, pray, sing and enjoy every second you are here. 16. Jesus is watching you. Behave. 17. The Youth Director and Avon Lake U.C.C. reserve the right to change, amend, add, subtract and edit this code of conduct at anytime without notice.